My work explores the endless patterns nature lays at our feet everyday, in places both scenic and mundane. I love to walk through our forests when the wind rains leaves in autumn. Each leaf seems to me an individual: a colorful, tragic hero now forsaken to the snows. 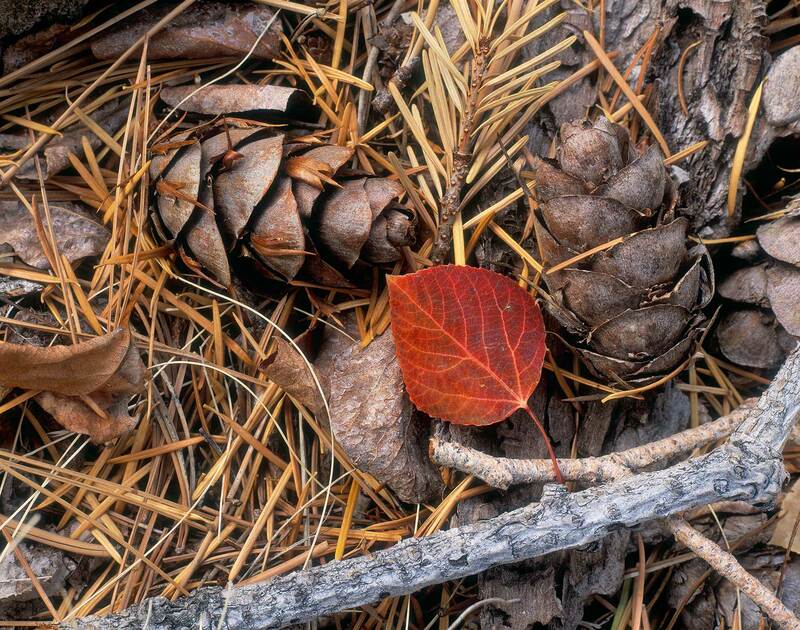 This image of a single aspen leaf and douglas fir cones comes from the Coconino National Forest near my home in Flagstaff, Arizona.